Wow, came on here just for "old times sake" and was very happy to see some of you familiar names are still around! Apparently my last login was exactly 2 years ago to the day and since then, I've finished my 3rd year of my Industrial Design degree which means I'm 1 year off from graduation! 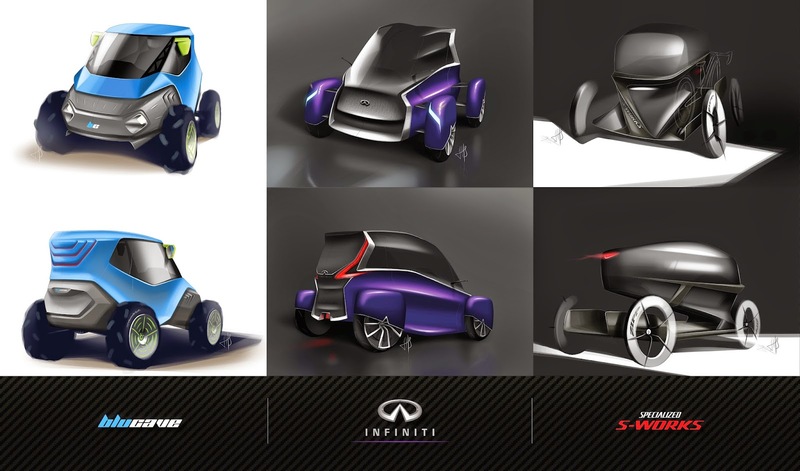 Anyway, for those interested, this is a brief overview of the project we did for the last third of this semester in Transport Design... designing three vehicles for three different brands based off the Renault Twizy package! We need a LIKE button!!!! I know this post is 2 months old, but wow I can't believe I didn't leave a comment earlier! These are amazing! I especially like the Bluecave, though the Infiniti is very impressive as well - I like how you integrated the corporate grille. Thanks guys! First semester of my final year is starting in a few days and I'm looking forward to getting stuck into some clay modelling!